GSA Schedule 70 is an IDIQ contract administered by the Federal Supply Service of the General Services Administration. 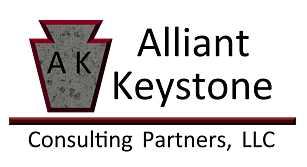 As a GSA contractor under FSS Schedule 70, Alliant Keystone provides Information Technology services. Any agency of the U.S. Government may take advantage of Schedule 70 task orders to secure services in a variety of skill areas including: systems analysis, design, installation, programming, database administration, business intelligence, systems administration, network support and technical support. GSA’s Information Technology (IT) Services Schedule, Schedule 70, has been available to Federal Government agencies and users for over 5 years. This Schedule is designed to bring high-quality professional IT services, in varying degrees from small-scale to broad-based task orders to complete outsourcing services, to the Federal Government throughout the world.